Glargine 300 is associated with significantly lower annualized rates of documented symptomatic hypoglycemia than Gla-100. HealthDay News — For older adults, insulin glargine 300 units/mL (Gla-300) is safe and as effective as Gla-100, with a similarly low or lower risk of symptomatic hypoglycemia, according to a study published online June 12 in Diabetes Care. Robert Ritzel, M.D., from Städtisches Klinikum München GmbH in Munich, Germany, and colleagues conducted a multicenter trial involving older adults, aged ≥65 years, designed to have about 20 percent of participants be aged ≥75 years. 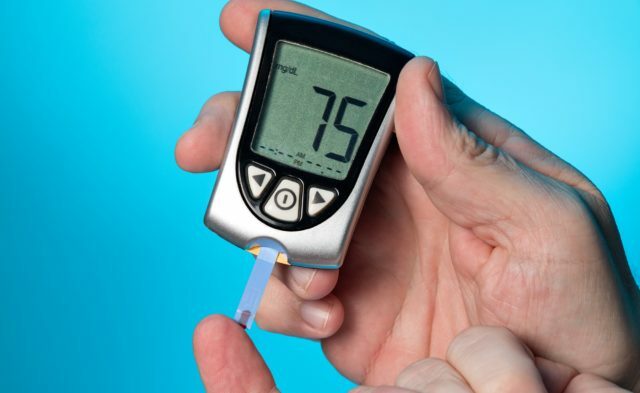 A total of 1,014 participants were randomly allocated to receive Gla-300 or Gla-100, titrated to a fasting self-monitored plasma glucose of 5 to 7.2 mmol/L. The researchers found that from baseline to week 26, the reductions in HbA1c were comparable for Gla-300 and Gla-100 in the overall population and for participants aged ≥75 years. Similar and low incidence and rates of confirmed or severe hypoglycemia events were reported between the groups, with lower rates of documented symptomatic hypoglycemia with Gla-300. Compared with the overall population, the subgroup aged ≥75 years had a more apparent lower risk of hypoglycemia with Gla-300 versus Gla-100. The annualized rates of documented symptomatic hypoglycemia were significantly lower with Gla-300 (Gla-300, 1.12 versus Gla-100, 2.71; rate ratio, 0.45). “Gla-300 demonstrated good efficacy and safety in older people with type 2 diabetes, particularly in those of advanced age (≥75 years),” the authors write. Several authors disclosed ties to pharmaceutical companies, including Sanofi, which funded the study and the clinical trial considered in the analysis.